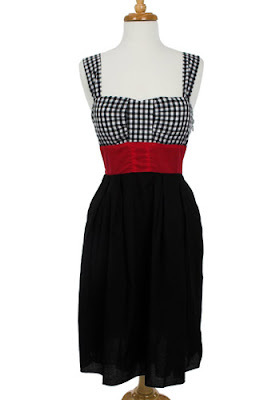 Love these Mod Cloth dresses! 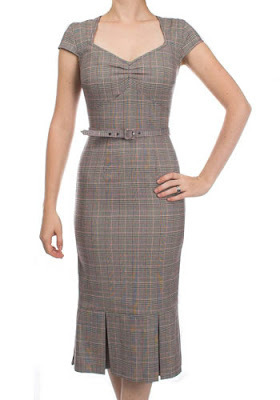 In plaid the color of changing leaves, this retro-flattering dress by Stop Staring will leave people wondering where in the world you bought it. With a kicky pleated bottom and cinched in waist, pair this with a trench coat and heels for sassy perfection! Inspired by classic Hollywood stars like Sophia Loren and Marilyn Monroe, this classic pin-up dress channels glamour and style wherever you go. Pair with heels and a clutch for a look thats red-carpet ready, or flats and a tote for picture perfect picnics in the park. Mod Cloth: a perfect place to find vintage and vintage inspired clothes! One of the South End establishments I've always wanted to visit is B&G Oysters...and today, I got the chance! For my birthday, my awesomest bro took me out for a luncheon at this cool, minimalist spot. In the backyard patio, beneath white cloth canopies, we shared a communal picnic bench with fellow foodies. A glass of cold, sparkling Prosecco started things off. We began with a half dozen freshly shucked Wellfleets. Topped with a dab of horseradish sauce, a squeeze of lemon and a drizzle of vinaigrette, these little blobs of deliciousness tasted fresh and sweet with an amazingly smooth and silky texture. I could have eaten TWO dozen of these guys. 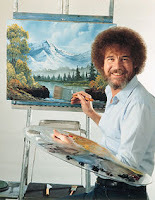 Remember the story of the Walrus and the Carpenter? Now I understand the ending to that poem. ...but I digress. For dessert we went with the creme fraiche panna cotta with citrus tuile, and rhubarb coulis. 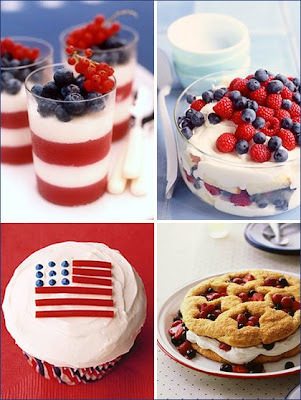 It was certainly delicious and flavorful, although I prefer my panna cotta with less gelatin. The tuile was a bit soggy, though still very tasty. The next time I go to B&G (and believe me, I WILL be back) I think I might just gorge myself on oysters. The lobster roll looked pretty amazing, pilled mile high with fresh lobster meat. That would be reason enough to go back as well. 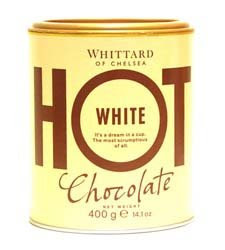 Whittard's White Hot Chocolate with dark chocolate sprinkles. Mmmmm! 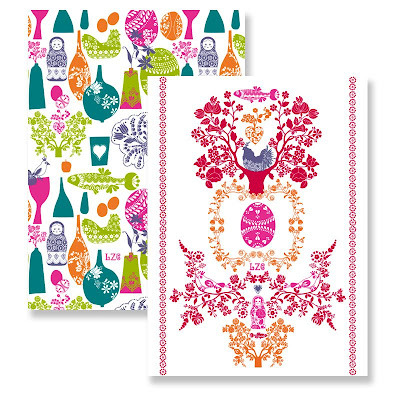 I love these adorable tea towels by French collective, Atelier LZC! 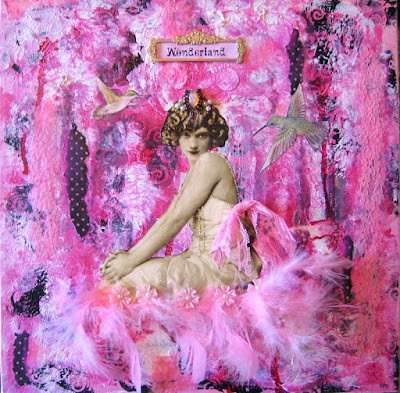 Find them at Bunny Maxwell along with an array of other funky chic housewares. Definitely check out their collection of wallpaper, designer rugs and fun dishware! Sloppy with your drink? 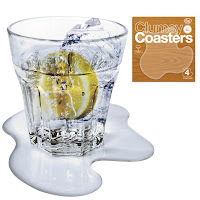 Clumsy Coasters will give the illusion that you just made a mess. Flexible, clear trompe l'oeil coasters come 4 to a package. Now your cup can runneth over again and again! 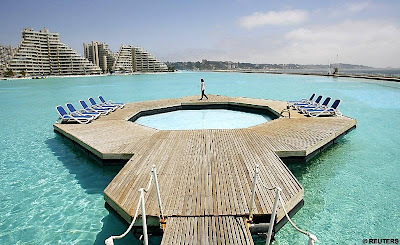 The World's Largest Swimming Pool is located off the coast of Chile. It is more than 1,000 yards long, covers 20 acres, has a 115-foot deep end, and holds 66 million gallons of water. This monster pool uses a computer-controlled suction and filtration system to keep fresh seawater in permanent circulation, drawing it in from the ocean at one end and pumping it out at the other. It costs 2 million dollars a year to maintain. Face it, we've all got something stashed away from relationships past: a charm bracelet, a heart pendant, a pair of earrings. You never wear it, but can't bring yourself to throw it away? 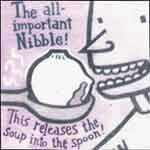 Here's the forum for you! Left overs from a short marriage, no need to wear them anymore, hope they make someone else happy"
Hmmm...Ok, well some of these are a little depressing, but if you can get past all that you might spot some good deals!